Work for Workday Financial Management? Learning about Workday Financial Management? I like that it is supposed to be a one-stop shop for business processes. Everyone, in theory, has access to details that should smooth processes and remove paper from business processes. We keep being told it's an "intuitive" system. No, it's not. The lingo used is very confusing. It isn't nearly as customizable as we were told - I don't need nearly all worklets 'assigned' to me but can't add ones that I think would make sense with my job duties.. The 'job aids' don't apply to the problems we face and complicate things further with that lingo. Look at the reviews from actual users, not the people on the test teams. The testers seem to be more sold on Workday than the rest of us. Unfortunately, this leads me to believe that the only people who can truly 'get' all of the intricacies of Workday are the people who are immediately involved in its implementation, rather than the rest of us who HAVE to use it daily for financial (and HR) processes. We do all budgeting and onboarding through Workday. Benefits? It's nice to be able to track processes. It's nice to be able to see where things are going (who to) and where they're held up. What I like most about Workday is that I can electronically access all of my payslips which prevents me from losing them if they were to be physical copies. I also like that I can track my career's performance history including raises, goals and achievements. I like all the features of this program, the only thing I could suggest is to somewhat organize it more to make it easier to find what you're looking for. At times I find myself getting lost down the rabbit hole of the software trying to look for something. With Workday Financial Management, I am able to take care of and find things I need, myself. Instead of going to higher management and telling them that I need to change information, or requesting something from them, a lot of the time it's available for me in Workday and I can get it myself instead of for one, having to wait, and two I am saving them time. "Workday is great for getting my financial transactions taken care of." Workday allows me to quickly and efficiently reconcile any sorts of transactions that pass through my office - invoices, requisitions, reimbursements - and also has all of my own information/records in one place. It is fairly easy to use and has many help points and guides along the way. I dislike having to type in the tasks I'd like to do in a search bar, such as "Create expense report" or to find a report done by someone else, and to find my own tasks that I've completed. It can also be a bit glitchy when creating reports - for example, if you're on the page too long, it stops working and you have to refresh and sometimes enter the info all over again if you don't hit save. This is a great program, but I recommend taking trainings and keeping a guide for yourself as it can be a bit complicated to navigate. This program keeps my fellow employees and I connected - everything is in one place for all of us to review. It is also great for keeping my own transactions in one place and to keep things moving at our office. "Resourceful and Easy to Use Employee/Employer Platform"
One of the most useful features of Workday is being very user friendly and generally pleasing to interact with because of the colors and layout. It's easy for employers to post job positions and for employees or job seekers to interact with them. Its hard to find some options to set up things like direct deposit. Someone would need a thorough tutorial to find these employee options and set them up. Its very useful but it requires some tutorials for employees to use effectively. It has allowed Employers to communicate necessary information and make things like setting up direct deposit pay much more manageable. I like how it's user friendly in terms of navigating about with the worklets. It's not very customizable which is highly desirable in a place like Yale University. If your company or institution has complex accounting/financials, Workday might not be a great solution for you, as the customization possibilities are limited. Being able to see all accounting transactions and balances is something that's fairly easy to do. One of the nicest things I like about Workday is that it allows you to see everything happening real-time and you don't usually have to wait a day or so for transactions to appear/balances to be updated. It is a great program to keep all payroll and HR tools compiled together. As an employee it is nice to be able to login and manage benefits and also access hours/see new positions available in the company all in one place. Several of the 'buttons' on Workday reroute you and take you away from the homepage and it times out in 5 minutes so you need to constantly login or stay active in the program. I am able to access almost all HR functions from this program. "Literally awful. Not user friendly at all." I hate this system. We just switched to using this system as well as timeforge to cover our bases for the company I work for. The only redeeming thing about this system is that their app is pretty easy to use. It is not user friendly at all. We just switched to this from another system and it takes SO LONG for anyone to figure out how to complete basic tasks such as exporting payroll information, completing tasks required for hiring, etc. Just do not do it. For the love of all that is good in the world avoid this system like the plague it has brought to my workplace. It is inefficient and overall just frustrating. I hate every second I have to use it. This system is not user friendly. It is unnecessarily complicated. I like that this program is an all in one site for any inquiries I have about pay, benefits, internal job openings, and performance. I dislike that with some of the applications you have to click through multiple link before you find where you want to go. For example when I want to review a pay slip I have to click through 3-4 pages before I can view my pay slip. This site is all in one and therefore I can find many answers to HR questions I have on this site without having to track down a policy or a person from HR. The program is very convenient. "Great Platform For Managing Your Organizational Finances"
The in depth tools for gathering insight into the finance and accounting capabilities of the business virtually anywhere at any time. Not always clear how to solve problems or conduct certain processes. Occassionally, Workday runs slow (which may be a function of wired/wireless connectivity and bandwidth issues). Also, some error messages do not adequately outline the problem (and/or solutions). Great platform for any company considering switching to a more robust and in depth financial management system. "Great Software for You HR and Finance Needs"
Using Workday Financial Management allows for ease obtaining approvals. The process of obtaining approvals is also done electronically, so use of technology is increased. I like the ability if gives waged employee's to track their earnings in great detail. Also shows employees how much their earnings are being taxed, how much taxes are coming out and where the taxes are going. I like the ability to easily log on to the system and print out pdf documents. Sometimes the system glitches and won't load. Could be an internet issue or a domain issue. Not entirely sure. Very easy system to navigate for most employees. highly recommend. showing employees their wages and also showing individuals the breakdown of where their taxes go. "Comprehensive, but sometimes difficult to navigate and search"
Some of the features are not self-explanatory, such as creating requisitions, or other functions. I like the user interface of Workday. The platform is very easy to navigate and has many great functionalities and add on's should you choose to use them. There is little I dislike about Workday Financial as it is a great platform that is designed very well. It is a solid system that is comprehensible and easy to use even for beginners. No cons to report, really. Great interface that is honestly pretty to look at. 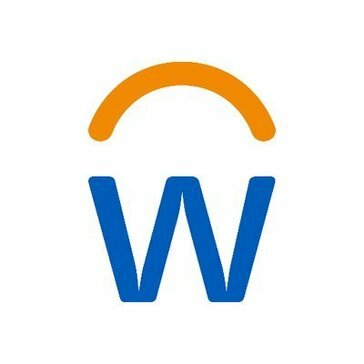 Workday Financial is leveraged for accounting, accounts payable, accounts receivable, payroll, asset management and reporting on financials. The ability to enter and access different information makes it a great address book and calendar tool. Very helpful for managing those but those are about the only functionalities I enjoy. Often difficult to navigate the site. Pressing the back button takes you to the login page rather than being able to jump forward / backward throughout the site. Extremely difficult to navigate the goal setting. Doesn't allow for much ability to view previous goals / set future ones. The ability to manage contacts and access different information points for them. It is easy to navigate and understand. It makes submitting time sheets very easy. There are multiple buttons and pages you need to click through in order to get to certain pages. I would rather have more on the dashboard. We are solving the need to simplify submitting time sheets, finding payslips, and viewing historical time sheets. It is a great simplified system. Workday financial helps me keep track of my pay and makes it simpler to keep up with my hours at work. I haven’t found anything I don’t like about workday. I’m still exploring and learning new stuff. The UX is friendly and we are able to organize all documents and HR responsibilities in one place. At times is seems that certain functionalities could live in two places and it's hard to know where it is. "Looks like it should be modern and easy to use but isn't"
"I have had a good experience with workday. " I like the visual landscape and the many offerings. Sometimes it can be complicated to find what you are looking for - especially when trying to file for reimbursements. I use it to record expenses and used it initially when joining the group full time for internal logistics like vacation time. I like that as a whole our company works ob the same platform universally. That the system only allows one active session at a tome per team member. Read the instructions and follow the training. Credit operations has me review out of ballances accounts. To be able to communicate and show my work is the benifit of this platform. Workday has a lot of great features and is a very intuitive software to use. Some of the navigational buttons put users into circular loops (not everything is easy to navigate to). Workday helps with finance management, but is also easy to integrate with its HR package. "Not a robust global solution"
It was user friendly and easy to use. I used it to manage internal personal data management information. To attractive more user, maybe provide a one button convenient way to use the platform. It provide a great way to store data information and make it user friendly. "Still learning all it has to offer"
The ease of use is great and very helpful using daily at work. I am still learning all it has to offer so I am not able to mention anything that I do not like yet. Its great at managing our finances. "Great product for big businesses "
I like how easy to navigate the site is. Simple to learn. They send out too many notifications between email and the app. "It works fairly well, does what I need"
* We monitor all Workday Financial Management reviews to prevent fraudulent reviews and keep review quality high. We do not post reviews by company employees or direct competitors. Validated reviews require the user to submit a screenshot of the product containing their user ID, in order to verify a user is an actual user of the product. Hi there! Are you looking to implement a solution like Workday Financial Management?